Skiing/Snowboarding Is Free [or almost free] in Colorado! Calling all 5th and 6th graders – you can ski 60+ days this winter for free [or close to free] at 20 Colorado resorts! If you are thinking of skiing/snowboarding in Colorado AND you have a 5th or 6th grader, you are in luck! The Colorado Passport program is for you – even if you don’t live in Colorado. Live in Massachusetts and want to ski/board in Colorado – your 5th grader skis free. 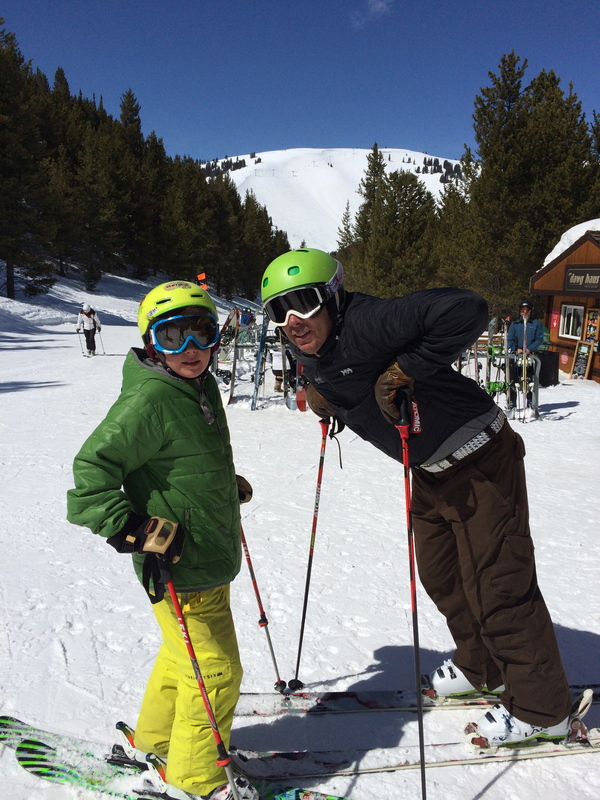 Live in California and you want to ski/board in Colorado – your 6th grader skis almost free. As long as you can prove your child is a 5th or 6th grader they qualify for the 5th & 6th Grade Passport Program! Register your 5th grader at Colorado Passport for their pass. You need a photo and proof of grade that you can upload. They will mail you the pass once approved. You DON’T need to be a Colorado resident. Ski up to 60 days. That’s right your 5th grader can ski 3 times at all of 20 resorts including: Winter Park, Copper Mountain, A Basin, Aspen, Eldora, Crested Butte, Loveland, Snowmass, and more [see below for full list]! Register your 6th grader at Colorado Passport for their pass. You need a photo and proof of grade that you can upload. They will mail you the pass once approved. You DON’T need to be a Colorado resident. Register by November 30, 2016 and pay $105 to ski 80 days. That’s right, your 6th grader can ski 4 times at all of the 20 resorts including: Winter Park, Copper Mountain, A Basin, Aspen, Eldora, Crested Butte, Loveland, Snowmass, and more [see below for full list]! You can still register through January 31, 2017, but the cost goes up to $125. This is still a screaming deal if your child qualifies! Winterpark: Get a Season Pass ahead of time for $429/adults and $249/kids. This also gives you 10 family/friend passes at $69 – $89/day, so maybe you just buy one pass and use the benefits to purchase cheap tickets for other adults skiing with you. Copper Mountain: Try a Copper 4 Pack for $169/kids & adults. It’s a deal! Trip Review: Riding the Mountain at Beaver Creek and More! Skyler biking on the Rose Pedal trail in Beaver Creek. Our family loves heading to the mountains! We are avid skiers and at least some of us love mountain biking. Sometimes on long Boulder rides our kids complain, but when we take them to a resort where we take the chairlift up, they always enjoy themselves! Recently we headed to Beaver Creek for a conference my husband was attending and decided to take our nine year old. We love the entire Vail Valley for it’s ski potential, but it is easy to forget that this area is bustling in the summer with so much to do! There were families everywhere enjoying all the recreation options, sitting by a fire pit in the heart of Beaver Creek Village eating pizzas they picked up, making s’mores, ice skating, biking, hiking, swimming, etc… And these resorts know how to make it easy! What can you do at ski resorts during the summer? Mountain Bike: You can head up hill on your own or you can take the chairlift up and bike down. With kids we always choose the later. They love finding the fun trails down. They also enjoy eating up on the mountain! There were so many kids there! The really young ones were playing in sand box at the top of the lift, others were exploring, eating at the restaurant, or getting ready to hike or bike. Our favorite mountain biking trail was the Rose Pedal. We did this at least 4 times. Hiking: There are endless hiking options in the Beaver Creek area. Hiking on the mountain gives you endless options for hikes for all levels. The flowers are amazing and the views are spectacular! Our favorite hike in that Vail Valley is Booth Creek Falls in Vail. Ice Skating: They keep the ice rinks open all year around. So lace up your skates and take a twirl. The kids love this in the early evening! Roast Marshmallows/Make S’mores: Beaver Creek is renowned for their warm cookies after a long day of skiing. In the summer if you stay at a hotel the warm cookies turned to s’more makings by the outdoor fire pit. Yummmmm! Activities: Kids [and adults] can try their hand on outdoor climbing walls, a putt putt golf course, and much more. Swimming: Take a dip with your kids, slope side. My son loved swimming after a long day of biking, hiking, & playing! Lodging: You can rent directly from any of the hotels in Beaver Creek, or try Vail On Sale, a discount lodging site for Vail and Beaver Creek. You can always enjoy Beaver Creek via a VRBO [Vacation Rental By Owner] deal. This option can net you a condo or house which might work best if you have a larger group. Mountain Biking & Hiking: Purchase chairlift tickets for yourself and your bike onsite or here. It looks like the prices are the same if you purchase ahead of time or right when you need them. Often I find waiting with the kids is best because I just never know what might come up. Kids under 12 are FREE! Activities: There are events and concerts happening all year around. To find out what is happening at Beaver Creek check in here.